WIN Sports and Entertainment Centres comprises of WIN Entertainment Centre and WIN Stadium. 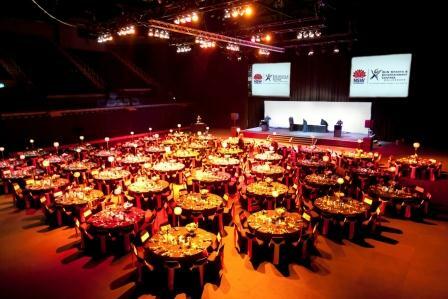 WIN Entertainment Centre includes the main auditorium, the Premiers Room and 3 expansive venue foyers. A Foreshore Plaza is adjacent to the eastern end of the Centre and is overlooked by The Illawarra Brewery. Seating a maximum of 6,000 pax in tiered theatre style seating, the main auditorium has the flexibility to be reduced to various configurations and is ideal for hosting concerts, dinners of 300 pax plus, or for hosting conference on one side of a dividing curtain and catered events or exhibitions on the other. A modular concert and presentation stage, TV quality lighting, first-class kitchen and catering facilities and, a dream location, complete the picture for this unique conference and entertainment facility. A bus drop-off bay suitable for 5 buses at any one time, an easy walk from hotels, rail transport, the City Centre and shops, and its proximity to Lang Park and City Beach (both of which are only 20 paces away!) make it a facility which is accessible and a joy to attend. WIN Entertainment Centre is well equipped with accessible seating areas, lifts and ramps (where necessary) has a hearing loop facility and disabled parking can be easily arranged. This level features foyer space on 3 sides of the venue, with the 4th side housing a boutique brewery and restaurant known as The Illawarra Brewery. Foyer spaces accommodate a Ticketmaster Box Office, catering snack bars and services, merchandising areas, and toilets. The foyer can also host other activities when the centre is in function mode. There is a Ticketmaster Box Office located to the right of the venue's front door entrance however it is only open when events are on at the venue. The venue's main Ticketmaster Box Office is located on Harbour Street, Wollongong, at WIN Stadium's Gate A (opposite the Steelers Club). Ticketmaster sells tickets for all events held at the venue and other Ticekmaster venues throughout Australia. From the foyers there are 8 entry doors leading into the auditorium to crossover aisles where patrons either descend to the arena seating below or ascend to concourse seating above. There is ample provision on both levels for accessible seating. 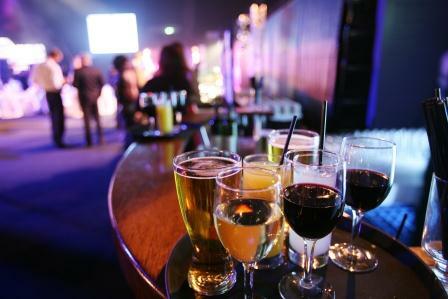 The Illawarra Brewery services patrons attending events in the centre and is also available for private functions. Open daily till late, The Illawarra Brewery is an ideal place to relax with a creamy cappuccino or to enjoy a scrumptious 3 course meal. & netball courts with appropriate run-offs. The central area can be used for other indoor sports activities, ice shows, dancing, catered functions, exhibitions, trade shows, and conferences. The area also forms part of the lower level audience seating for large-scale concerts and performances. 6 private dressing rooms, a production office, and a Green Room. Also on this level are various storage areas, a first-aid room, security and operations control, toilets and a fully equipped kitchen with cool rooms and lift access to the function area on level 2. These levels complete the fixed seating arrangements and incorporate television, radio and sound control booths in addition to various plant areas. The large roof structure and catwalks have the capacity to suspend lighting, stage, dividing curtains, score management, decorations and banners. The curtain divider system can separate an area of the auditorium if full seating is not required and, with the demountable stage, implement a theatrical seating configuration at the western end of the venue. WIN Entertainment Centre is positioned right on Wollongong's City Beach on the Corner of Crown & Harbour Streets, within 3 minutes walking distance of the City Centre, its shops and restaurants. 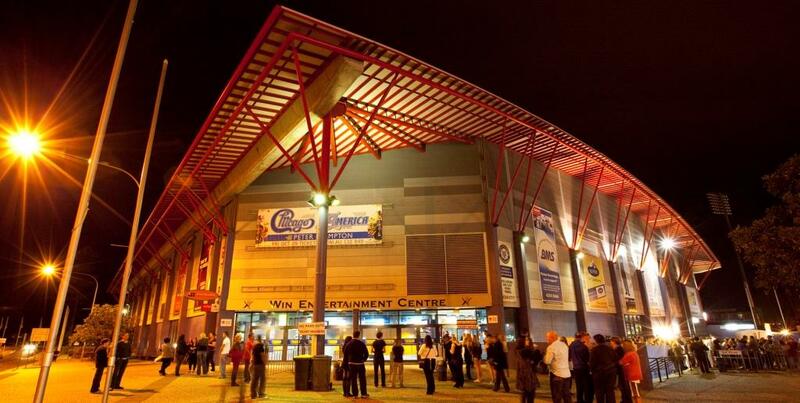 WIN Entertainment Centre's main entrance is located on the corner of Crown and Harbour Streets, Wollongong. Transport is a breeze with a 5 bus parking bay and adjacent car parking facilities. ARENA AV, the venues' preferred audio visual and technical supplier, is conveniently located in-house. ARENA AV has a full range of professional quality, audio, lighting, projection and technical facilities that can accommodate any event or function. Alternatively, for events that bring in their own production, WSEC staff will be on hand to assist with bump-in and, if necessary, supply equipment and/or links to the in-house facilities as required. You can rest assured that your event will be installed and operated by a team that knows every detail of the venue. Both WSEC and ARENA AV staff have a passion and commitment to provide the equipment and service specifically chosen to suit your needs and to ensure the success of your event – after all “Your Success is our Business”.